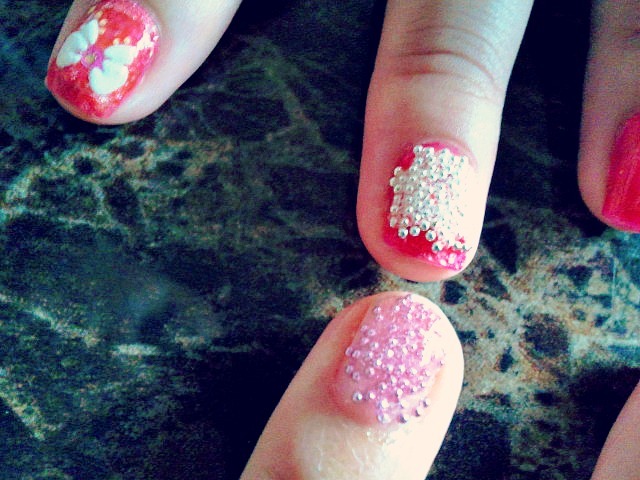 My friends and I spent the afternoon doing each other's nails. We're such girlie girls. Step 3- Roll the nails one at a time in the decoration piece of your choice, or you can also use tweezers to help with a more accurate setting. I chose these mini beads for my ring fingers. Step 4- Apply another final coat of clear polish to set in the nail art. Step 5- Let the nails air dry for about 5-10 minutes, and then you're done! 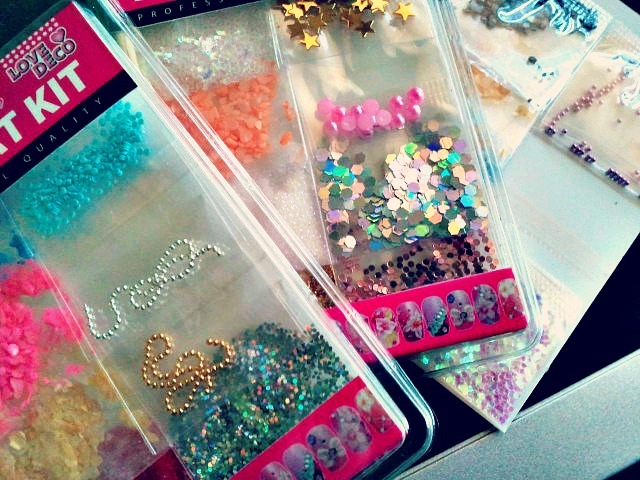 Cute nails, by the way - I'm jealous of your purchases! This is SO cool! I'm always jealous of people with nail art talent because I barely have the patience to do the normal color coat, haha. These look fantastic! & love your blog~ following!